I love being creative and making things. Whether it's party decorations, custom gifts for loved ones or practical home decor, crafts are fun! But oh, they can be so time consuming. Between thinking of an idea, gathering the materials, trying to make something from a concept in my head, and usually messing it up (you've all seen some great Pinterest fails, I'm sure) crafting can take hours! So that's why I was really excited to try out a 30 day subscription to Creative Bug! 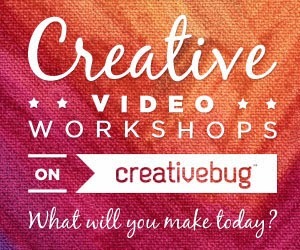 Creative Bug is a website that offers a variety of creative video workshops. Categories range from accessories, entertaining and home decor to ceramics, embellishments, upcycling and everything in between! The best part is that the videos not only give verbal instructions on how to complete the craft, but the instructor actually demonstrates it for you. So in the time you watch the clip, you can actually complete your very own craft! 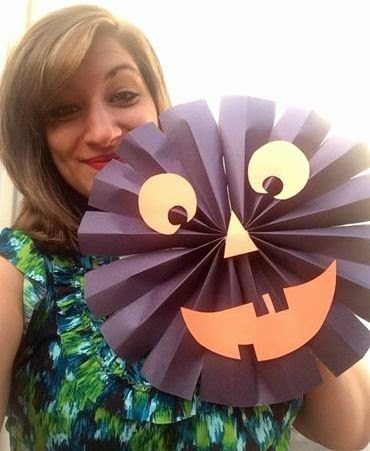 I watched a couple of videos on Creative Bug but my absolute favorite were the holiday themed crafts! The Valentine's Day video gave a ton of cute ideas for drawing your own words and designs on ceramic dinnerware and making it permanent. I thought they were all so cute and great ideas for any occasion. But the Halloween video was my far the best! The hour and 15 minutes were split up into different clips, each showing how to create a unique, but easy, Halloween decoration. My favorite crafts from the Halloween video were the spooky rosettes, the unconventional wreaths and the mummy surprise balls. 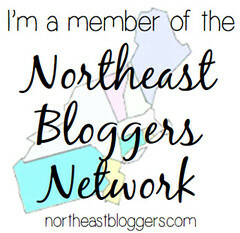 Check out one of the rosettes that I made just while watching the instructional video. What I love about them is how versatile they are; you can really make them for any season or occasion! Aren't they unique and totally festive? Not to mention, they're a great craft for kids too! Creative Bug has given me some awesome inspiration, ideas and actual demonstration of really cool crafts! 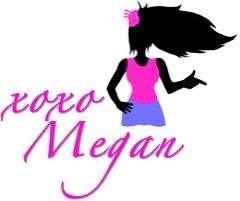 This site satisfies my creativity without taking hours to create one item. With all of these fun, new tutorials that I've seen and tried, I can't wait until this year's annual Halloween party!